Myfxbook Is The Best Social Trading Network! 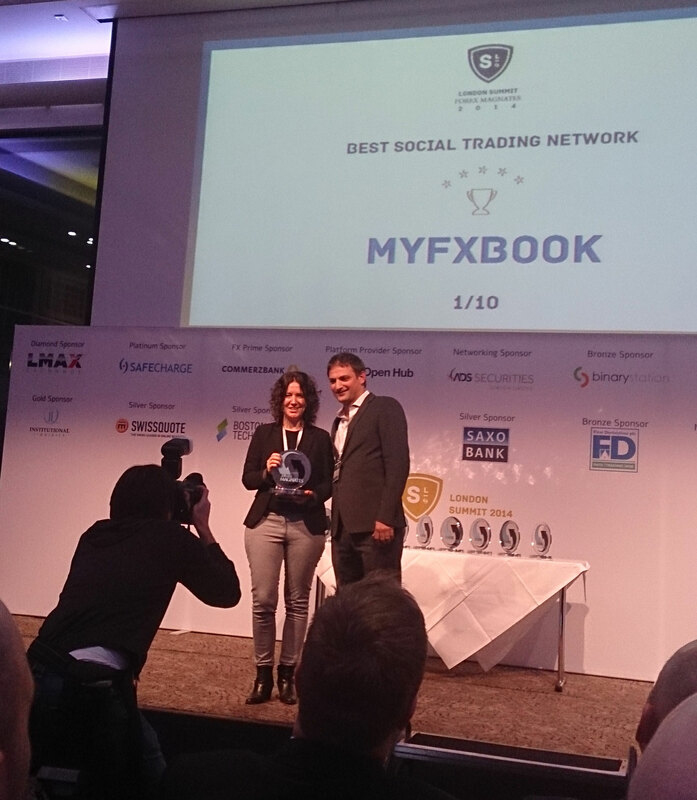 We’re proud to announce that in the recent London Summit held by Forex Magnates, Myfxbook has won the 1st place in the “Best Social Trading Network” category! The award was picked up by Carolina May, CEO of FXStreet, which are responsible for taking care of Myfxbook’s marketing on a day to day basis. We would like to thank those who voted for us as well as thank our users who always come up with great ideas and suggestions for Myfxbook and find our service indispensable in their trading. You are currently browsing the The Myfxbook Blog blog archives for November, 2014.